Search engine optimization (SEO) seems pretty straightforward. You pick a few keywords, and voilà! Your page is optimized for SEO, right? Not yet. SEO stands for search engine optimization, that much has stayed the same. It refers to techniques that help your website rank higher in search engine results pages (SERPs). This makes your website more visible to people who are looking for solutions that your brand, product, or service can provide via search engines like Google, Yahoo!, and Bing. Looking deeper: There are a ton of ways to improve the SEO of your site pages, though. Search engines look for elements including title tags, keywords, image tags, internal link structure, and inbound links (also known as backlinks). And that’s just to name a few. Search engines also look at site structure and design, visitor behavior, and other external, off-site factors to determine how highly ranked your site should be in their SERPs. Organic search refers to someone conducting a search through a search engine and clicking on a non-paid result. Organic search is a search marketing channel that can be used as part of inbound marketing to increase website traffic. Looking deeper: In present-day SEO, you can’t simply include as many keywords as possible to reach the people who are searching for you. In fact, this will actually hurt your website’s SEO because search engines will recognize it as keyword stuffing, or the act of including keywords specifically to rank for that keyword, rather than to answer a person’s question. Nowadays, you should use your keywords in your content in a way that doesn’t feel unnatural or forced. There isn’t a magic number, it all depends on the length of your keyword and article, but if you feel like you’re forcing it, it’s better to ignore it and continue writing naturally. An SEO marketing strategy is a comprehensive plan to get more visitors to your website through search engines. Successful SEO includes on-page strategies, which use intent-based keywords; and off-page strategies, which earn inbound links from other websites. Looking deeper: Before you create a new site page or blog post, you’ll probably be thinking about how to incorporate your keywords into your post. That’s alright, but it shouldn’t be your only focus, or even your primary focus. Whenever you create content, your focus should be on the intent of your audience, not how many times you can include a keyword (whether it’s long tail or short tail) in your content. Organic traffic is unpaid traffic that comes from search engines such as Google or Bing. 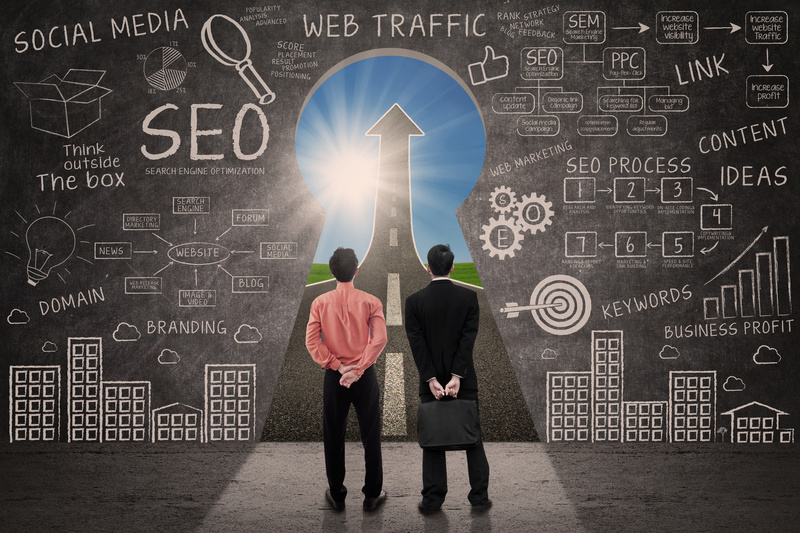 Paid search marketing does not increase your organic traffic numbers, but you can optimize your website using inbound marketing software to gain more visitors. Looking deeper: One of the biggest changes in the last decade is the way other user behaviors shape the SERPs a user sees on search engines. And today, social media can have a big impact on your organic traffic trend line. Even just a few years ago, it didn’t make a difference who was finding your content through social search. But now SEO takes into account tweets, retweets, Google+ authorship, and other social signals. This all means when you’re thinking about your SEO strategy, you need to think about how your social media strategy fits into the puzzle, too. Direct traffic consists of website visitors that come to your website by typing the URL into their browser, rather than coming from another website, a search engine, or social media. Looking deeper: Think of search engine optimization as “search experience optimization.” It’s not just important for your users to find your website, it’s important for them to stay on your website, interact with your content, and come back later. Direct traffic doesn’t just increase your “page authority” in the eyes of Google; it creates more opportunities to turn someone, who first discovered you organically, into a customer. SEO actually takes into account whether or not your visitors are staying on your website and engaging with other content. If you rank well for a keyword and attract a visitor who isn’t relevant, it won’t actually help your website. Think about your visitors and the content they are looking for more than how many people you can attract to your website. SEO is important because it helps people find information and discover pages on the world wide web. SEO is especially important for businesses as it ensures they’re answering their audience’s biggest questions on search engines, while driving traffic to their products and services. Looking deeper: In the past, SEO success was measured by whether or not you were ranked high on the first page of Google. But even if you ranked well for a term, does that actually mean you’re going to see results? Not always. You might rank really well for terms that aren’t ideal for your business. So you appear high on search engines, get a ton of traffic, but then your website visitors realize your company isn’t what they were looking for. You don’t convert customers from this traffic, and ranking high for this particular keyword is essentially fruitless. Also, you don’t necessarily need to be in the top three slots to be successful. In fact, if you rank well on subsequent pages, you may still have a high click-through-rate. That’s great news for marketers who can’t seem to bring pages into those top slots or off the second page. We said it before and we’ll say it again: The amount of traffic to your page is less important than how qualified that traffic is. SEO can cost between $100 and $500 per month if you do it yourself with a keyword research tool. It can cost between $75 and $150 per hour for a consultant, and up to $10,000 per month if you hire a full-service marketing agency. Small businesses generally spend less on SEO than big brands, but they can still get the same or better results if they focus on SEO and align with experts that can help them along.